Six major movie and TV companies are among the latest to sue the once popular peer-to-peer file sharing service LimeWire. The suit comes less than a year after founder Mark Gorton agreed to pay the Recording Industry Association of America (RIAA) $105 million in an out-of-court settlement last May. Plaintiffs in the 16-page complaint include Twentieth Century Fox, Viacom, Comedy Partners, Disney, Paramount Pictures and Warner Bros. There’s also an additional 53-page list of works whose copyrights were violated, according to Courthouse News Service. The lawsuit appears to be a victory waiting to happen for the production studios. As CNET indicates, it’s already been determined that Gorton and LimeWire are guilty of copyright infringement, at least as far as music sharing is concerned. All that’s left for the movie studios to do is prove that LimeWire also facilitated the sharing of copyrighted motion pictures and television programs that include "South Park," "Desperate Housewives," "Family Guy," "Alice in Wonderland," "Avatar," "Shrek," and "Harry Potter." 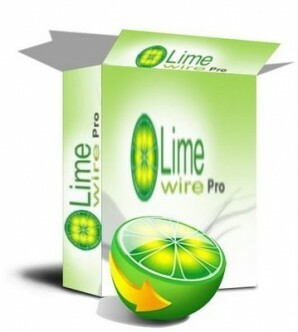 LimeWire launched in 2000 and was initially targeted by record labels for illegal fire sharing practices. The company stood strong as competitors like Kazaa, BearShare and eDonkey all either went legitimate or shut down over the years. The aforementioned lawsuit by the RIAA ultimately brought an end to LimeWire’s reign in late 2010. It’s unclear at this point exactly how much compensation the studios are seeking from Gorton and the defunct LimeWire based on the three counts of copyright infringement. Another unknown is just how much money Gorton has left after the May 2011 settlement.